Correction: This post originally stated that Americans for Prosperity (AFP) produced the Obama/Stalin ad. In truth, the ad was created by an individual who does not work for AFP. We regret the error. In a move designed to fill the most unhinged members of the John Birch Society with pride, a Tea Party activist has released an advertisement in support of a State of the Union watch party in Michigan that compares President Barack Obama to infamous Soviet dictator Joseph Stalin. 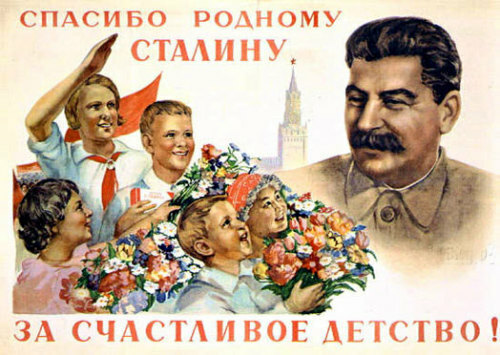 In the ad, a group of cherubic youngsters is shown presenting Obama with a bunch of flowers. Comrade Obama is wearing the no-nonsense, unpretentious, vaguely militaristic garb of a high-ranking Soviet official. He's smiling, too. 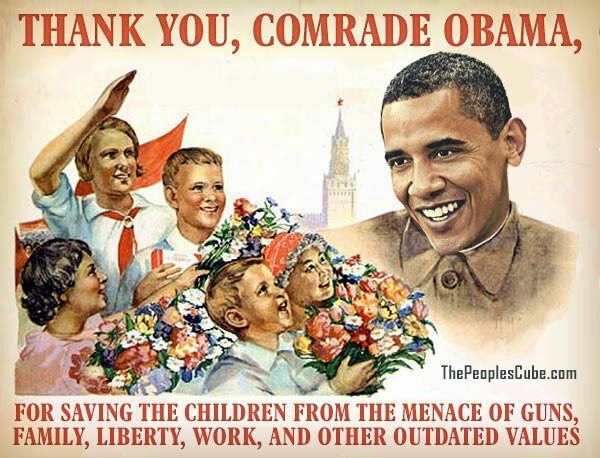 "Thank you, comrade Obama," reads the ad, "for saving the children from the menace of guns, family, liberty, work and other outdated values." The ad also features a promotion for thepeoplescube.com, a right-wing "comedy" site that embodies pure wingnuttery to a degree that puts even foxnation.com — aka the site that brought us "Obama's hip-hop BBQ" — to shame. You can see the ad below — and here's the original piece of Soviet propaganda on which it seems to be based.